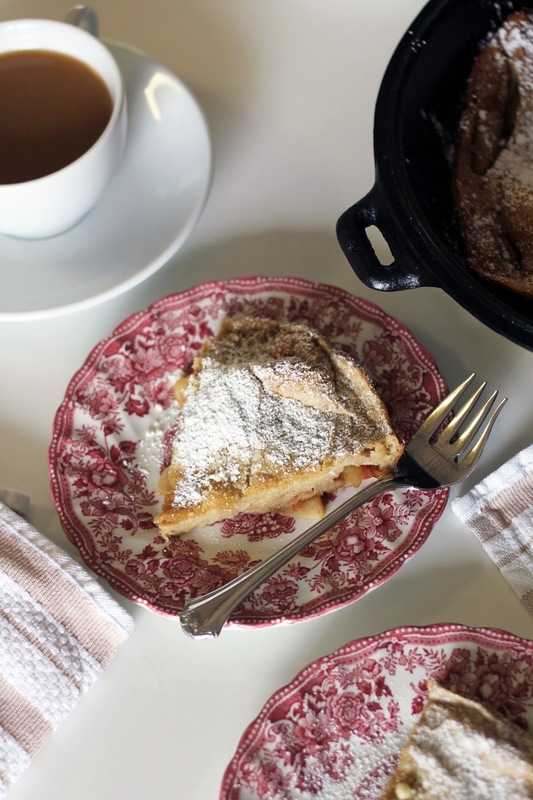 Once the weather starts to cool all I want is a warm, sugary breakfast. During the week this takes the form of oatmeal, but by the weekend I am ready to indulge. 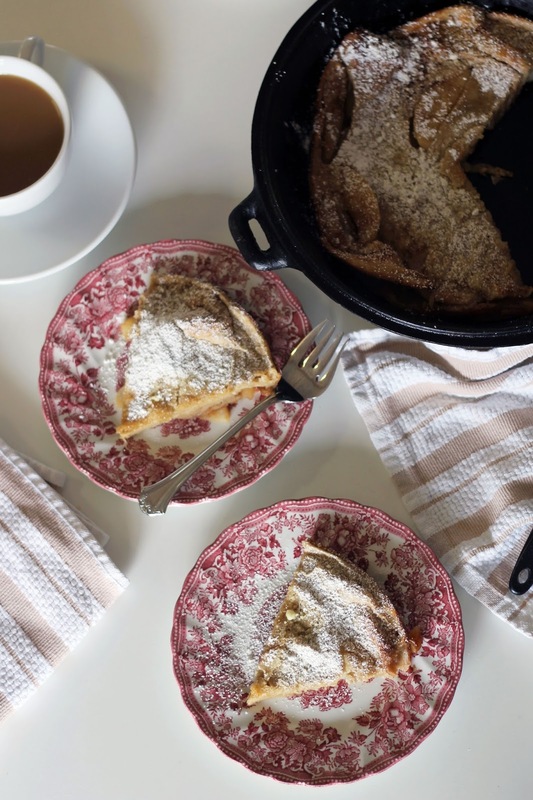 This apple dutch baby pancake smells and tastes just like fall. 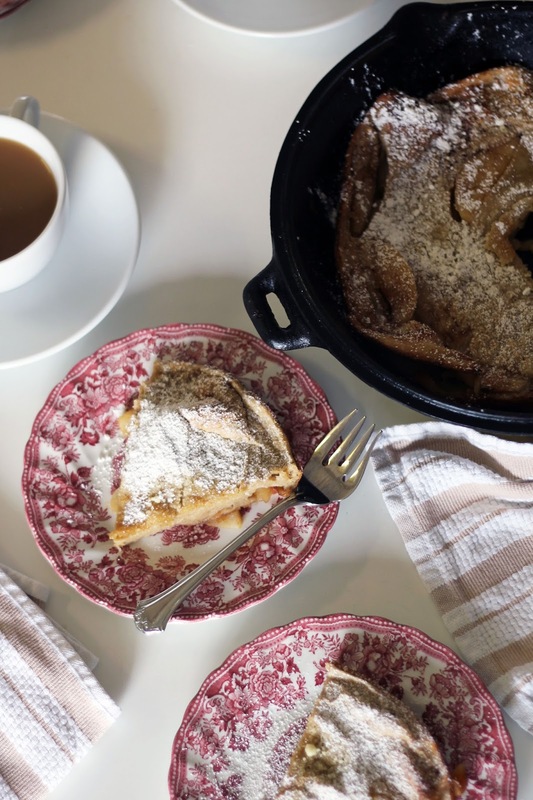 Filled with warm apples and cinnamon this breakfast is perfect for a lazy morning filled with a lot of coffee. 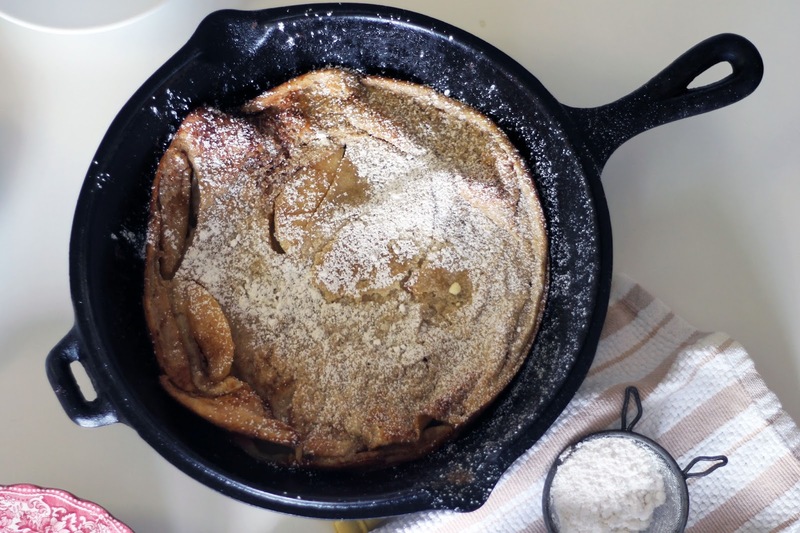 This pancake makes a beautiful presentation since it puffs with finished, making it great for housegates. Of course, if you want to eat this in your pajamas with bedhead I won't judge. Preheat oven to 400 degrees. Whisk together eggs, milk, flour, salt, and 1/2 teaspoon cinnamon until smooth. Set aside. Melt butter in a cast-iron skillet over medium heat. Once melted, add apples and saute for 2-3 minutes until slightly softened. Add sugar, 1/2 teaspoon cinnamon, cardamon and stir until sugar is melted. Be careful because the sugar can burn quickly. Remove from heat. Pour batter over warm batter and place in oven. Bake for 15-18 minutes until puffed and golden brown. 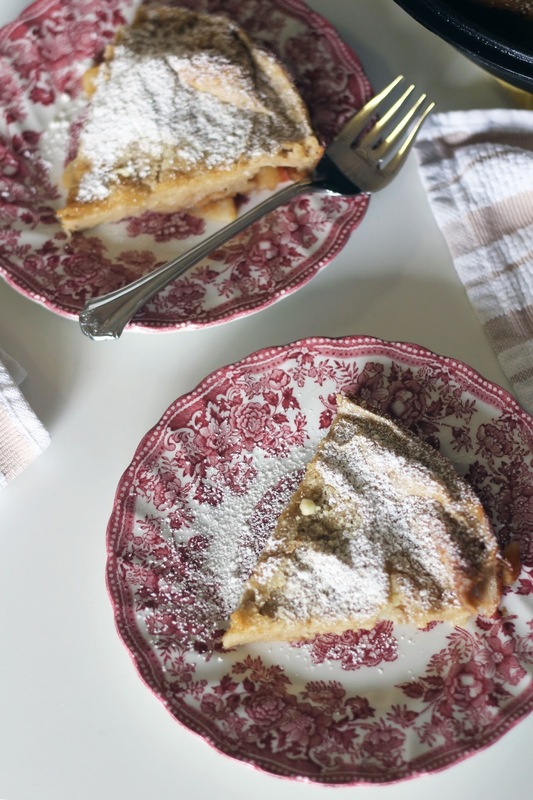 Serve warm and sprinkle with powdered sugar.